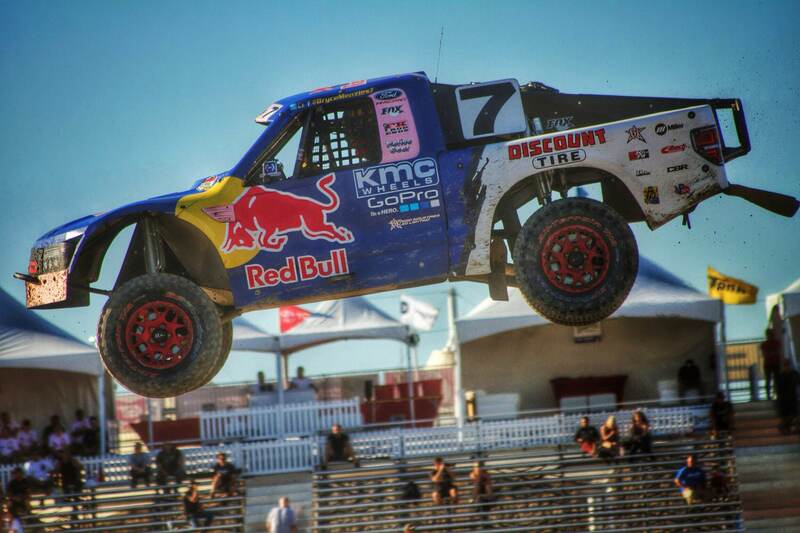 Lake Elsinore, Calif. (Nov. 3, 2014) – BFGoodrich® Tires wrapped up a solid off road short course racing season by securing 19 total wins, a championship in the Pro Lite class and was named Tire Manufacturer of the Year for the 2014 Lucas Oil Off Road Racing Series. The brands 76 total podium finishes was more than any other tire manufacturer competing in the series. Many young drivers took center stage in the Pro Lite class but one stood out amongst the rest and that is “The Prodigy of Short Course,” Sheldon Creed. The young gun won his first ever Pro Lite Championship this past weekend and celebrated with teammates, family and friends. Throughout the season, Creed was consistent on finishing in the top of the class. 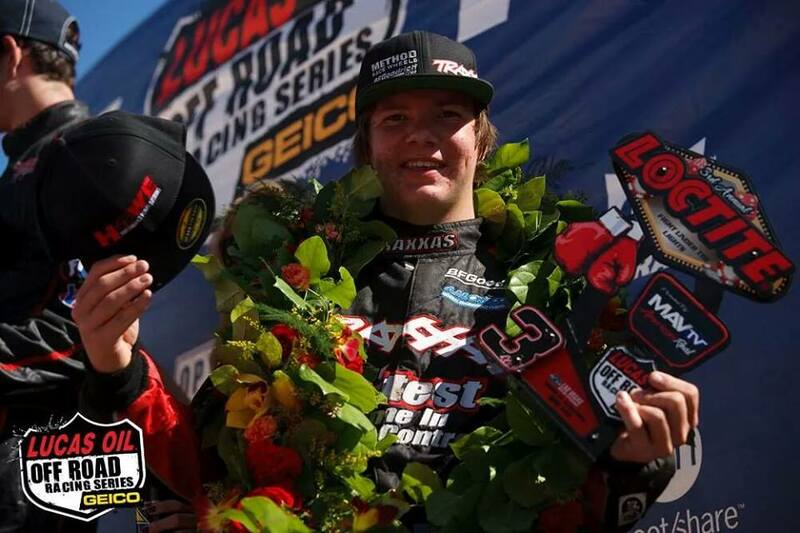 A solid truck and a natural talent for driving are just a few of the factors that play into taking a championship. BFGoodrich Tires would come just out of reach of the Pro 2 Championship. With both Rob MacCachren and Bryce Menzies chasing down the points leader, it came down to the final round to decide the champion. Menzies, who won the Round Pro 2 race on Saturday, was quick on the draw leading the race but would run into mechanical failures with only two laps to go to the checkered. Menzies would finish the season out 3rd in points in the Pro 2 class. With strong performances all year by Menzies and Ricky Johnson, Menzies Motorsports claimed the Team of the Year award. Round 15 would see MacCachren on the podium in both classes. On the weekend, the veteran placed on the podium for each race – two second place finishes and two third place positions. 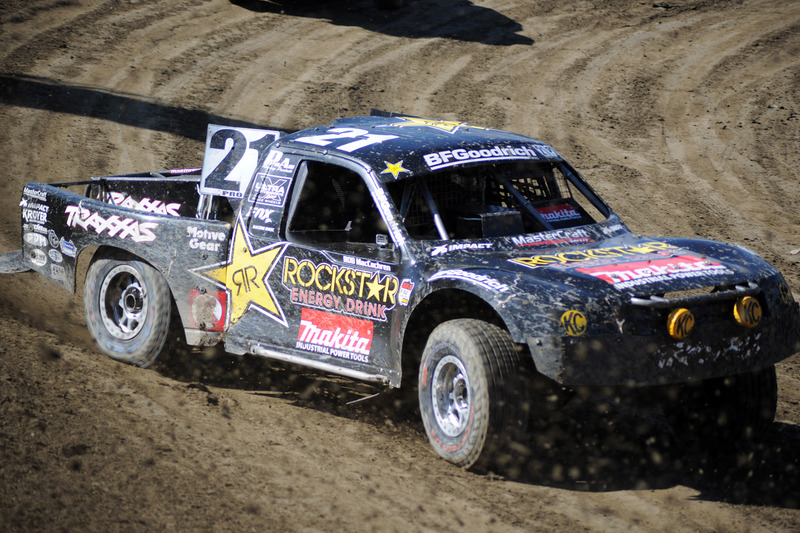 MacCachren didn’t back down throughout the entire year and gave BFGoodrich® Tires two overall 2ndplace finishes in points in both Pro2 and Pro4. Using motorsports as a proving ground for more than 40 years, BFGoodrich Tires is involved in every type of racing, including sports car, drag, desert, dirt and extreme rock crawling. BFGoodrich Tires combines technological expertise with vast motorsports experience, delivering a high-performance tire for every type of vehicle. Visit the BFGoodrich Tires Racing site at http://www.bfgoodrichracing.com on Facebook at www.Facebook.com/BFGoodrichTires or on Twitter at @BFGoodrichTires.